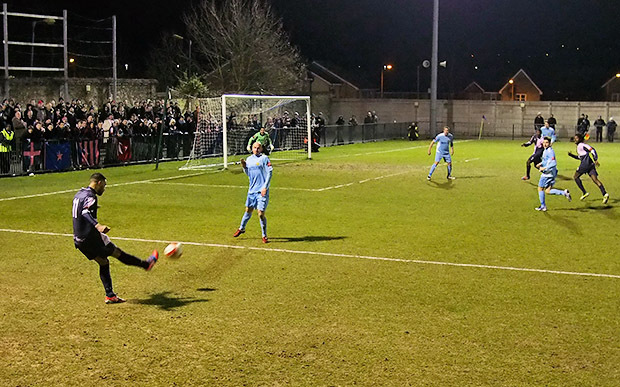 A big crowd of over 1,000 people braved the freezing temperatures to watch an enthralling battle between the league leaders Maidstone United and our very own Dulwich Hamlet, currently in second place. 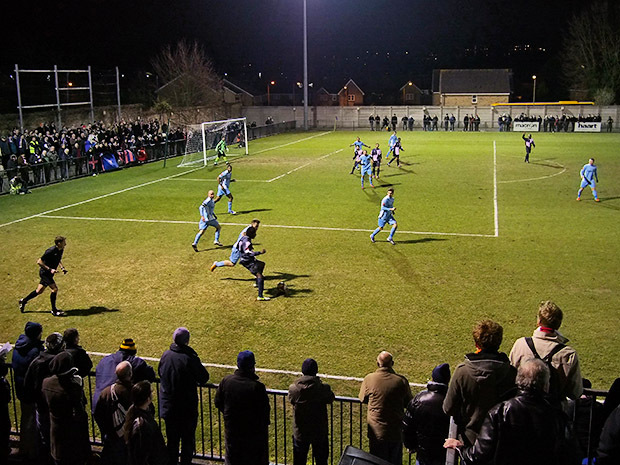 Back in the days when they were in the Fourth Division, Maidstone took on the mighty Cardiff City four times (and never lost to them), so it’s strange seeing them all the way down in the Isthmian League Division One South. 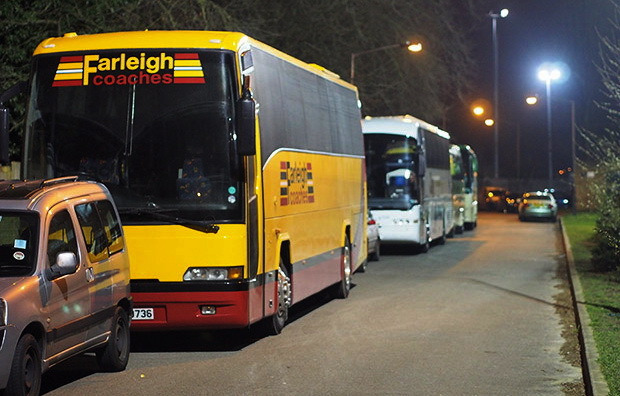 They still have a good support though, as witnessed by this line of coaches up from Kent for the match. 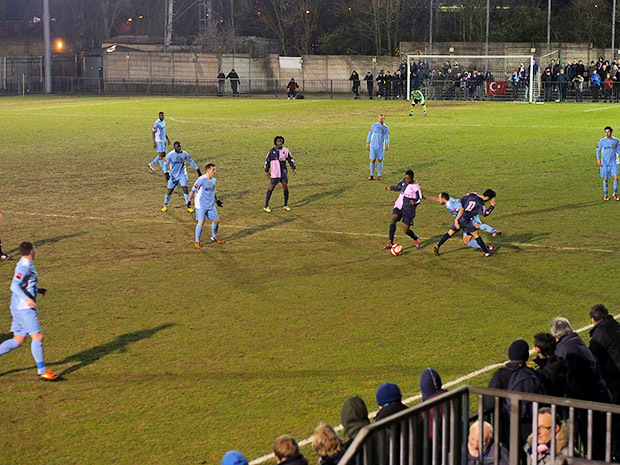 A spectacular strike in the third minute by Nyren Clunis put Dulwich one up early in the game. 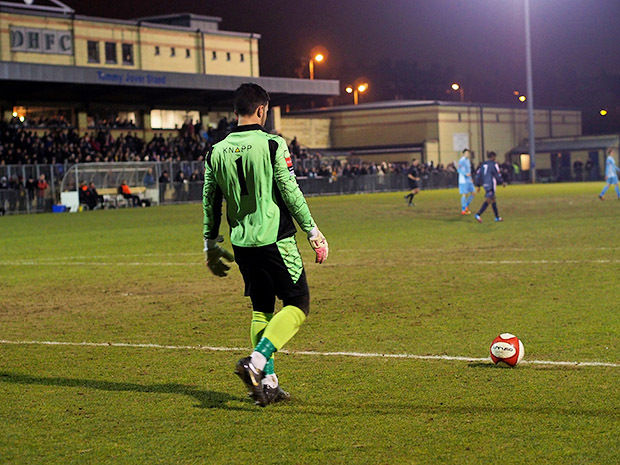 Go Hamlet! 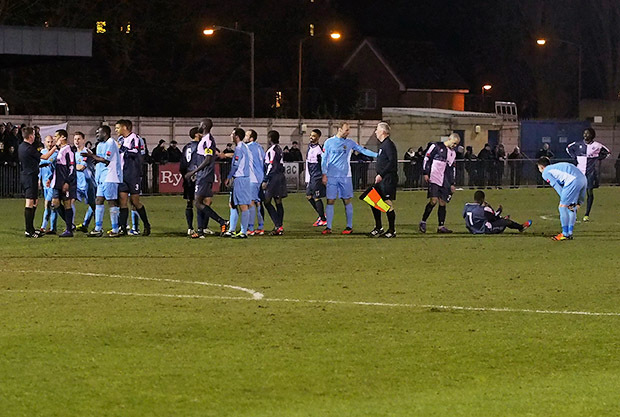 The teams were evenly matched, and there was some good football on display. 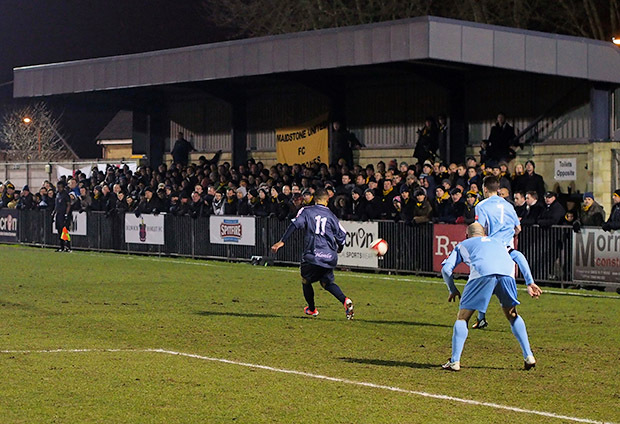 Players in front of the vocal travelling Maidstone fans. 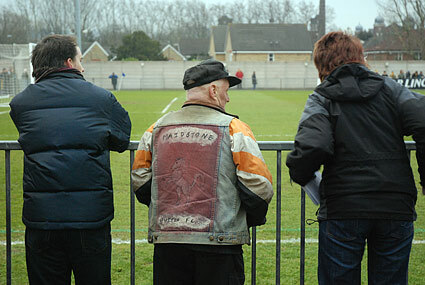 There was a far bigger away turn out for this match than when I saw the same fixture back in 2007. 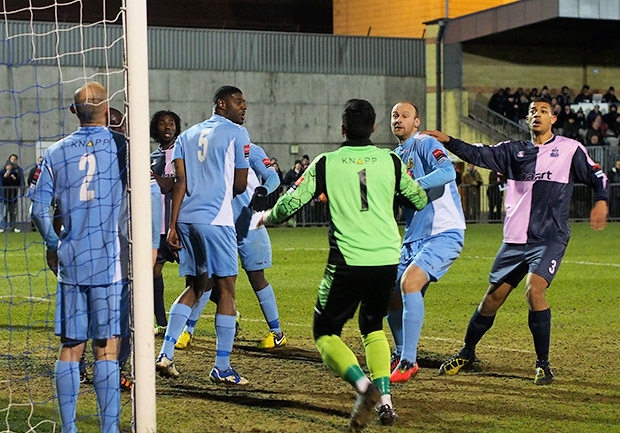 Maidstone keeper Deren Ibrahim had a great game, saving a Dulwich penalty in the 38th minute. 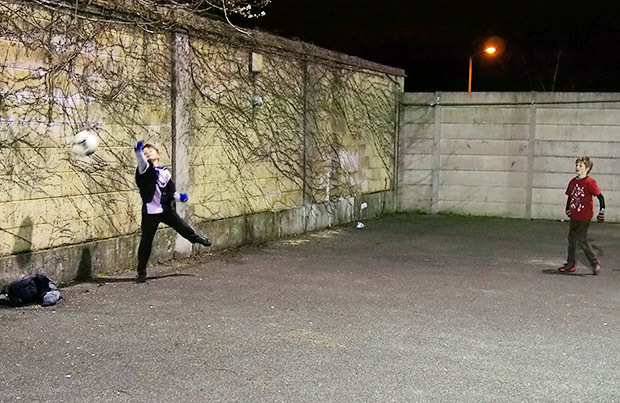 A secondary game of football going on at the stadium! 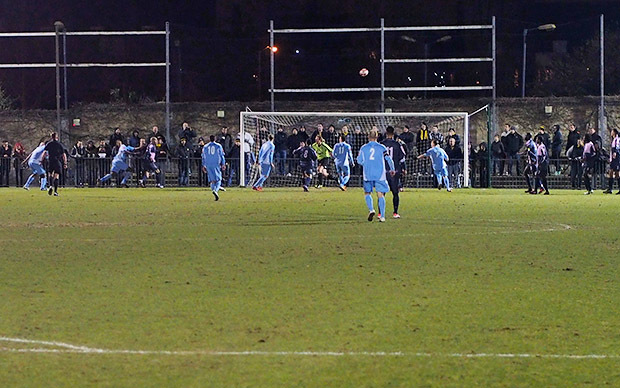 Ade Olorunda equalised for Maidstone with just nine minutes left,and despite late Dulwich pressure, the score remained 1-1. 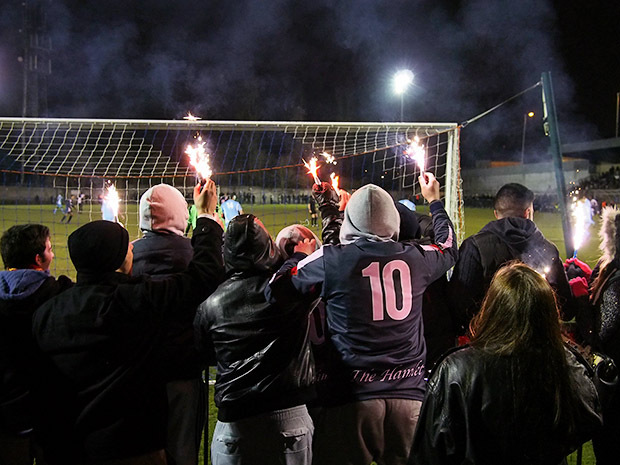 The Turkish Dulwich Hamlet ultras light up the stadium! 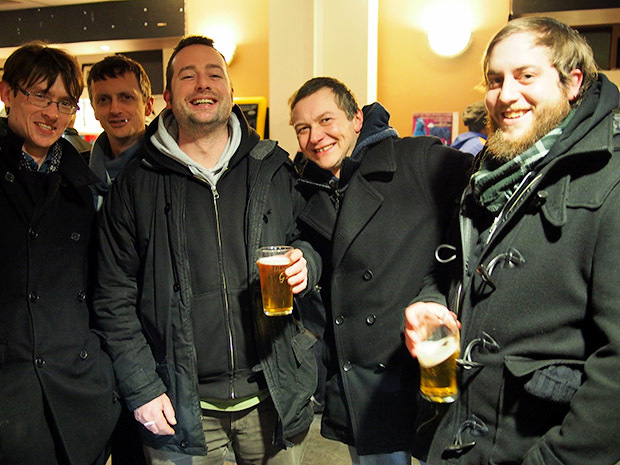 The Hamlet have an excellent bar in the ground – perfect for a post match drink! 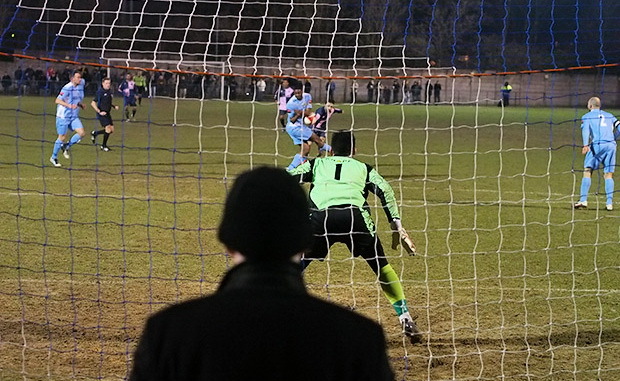 Dulwich are still in with a great chance for automatic promotion (see table below), and I’m hoping to make Saturday’s away match at rivals Tooting & Mitcham. 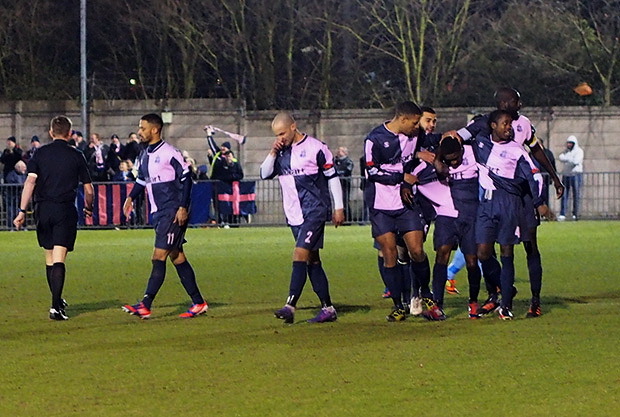 For news and match info, check out the Dulwich Hamlet website. 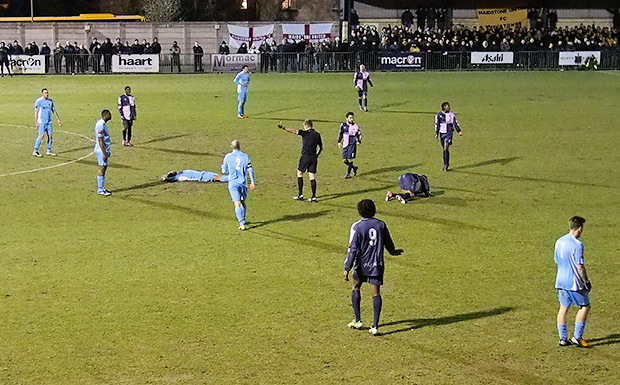 Discuss Dulwich Hamlet on the busy urban75 forums.